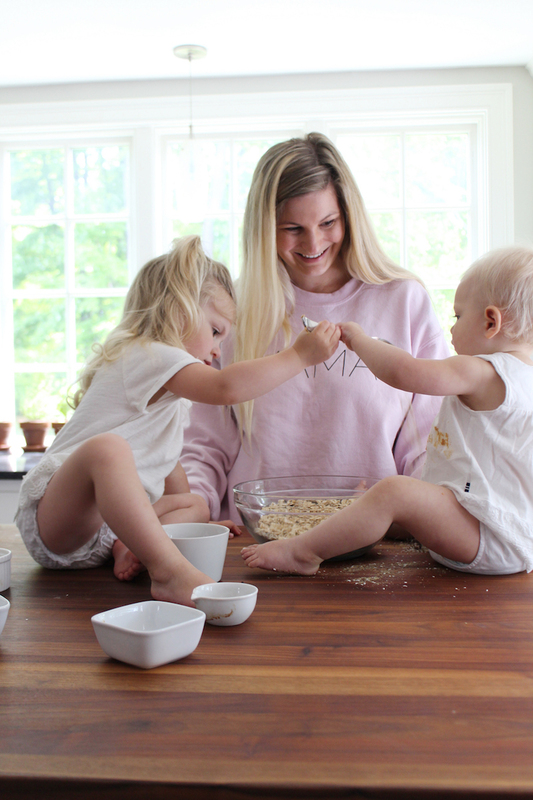 I am all about having my girls help me in the kitchen, whether it’s to help prep dinner or assist me in making some snacks. I tried to stay flexible and care free during these sometimes messy activities, but there is one rule: COMFORT WINS. 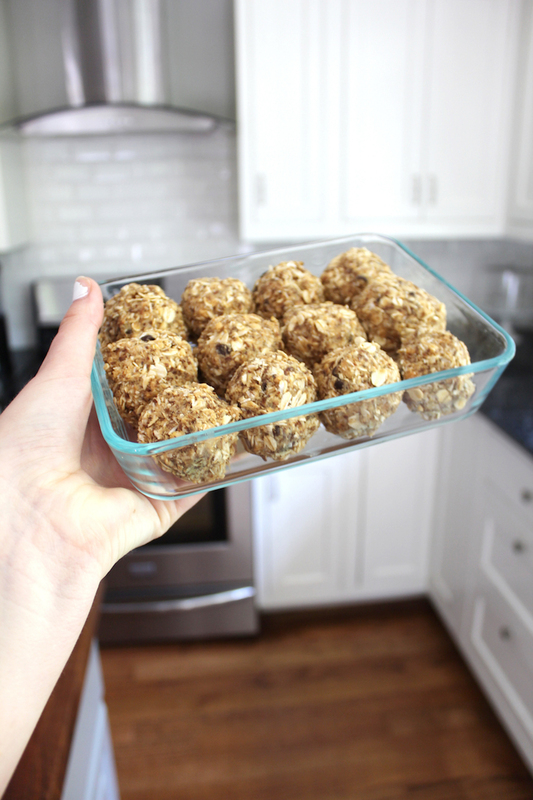 I am all about being cozy and comfortable in home, especially when whipping up these Healthy Snack Bites. 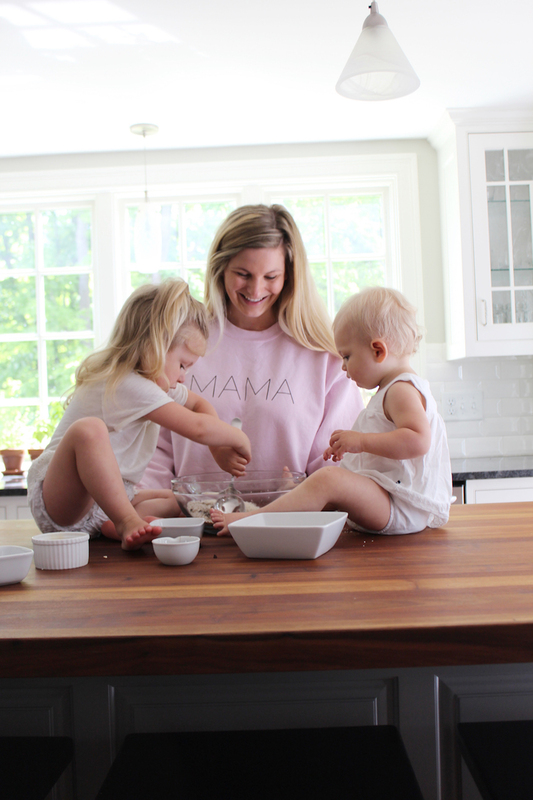 I have been ALL ABOUT this MAMA pullover from ThelmaDean lately. Ask my husband, I have not taken it off. I run errands in it, hang around the house in it, yeah, it basically doesn’t come off. 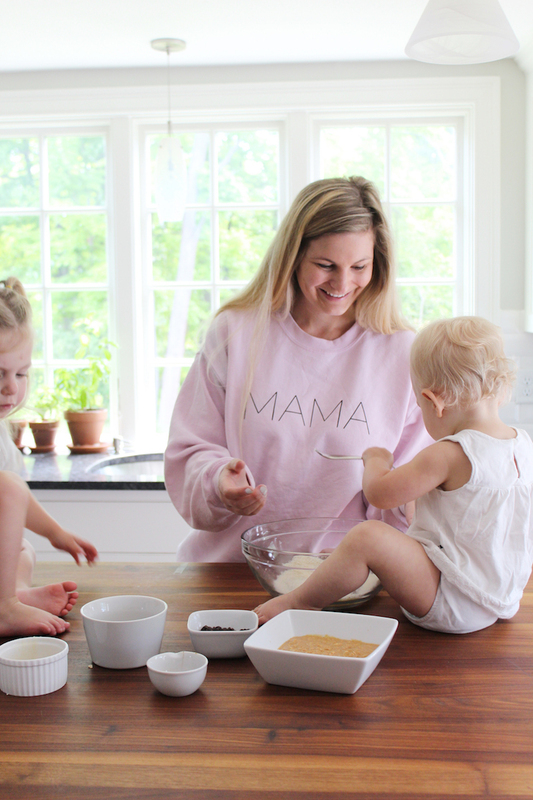 This pullover is so soft and cozy and I love the pale shade of pink! Here’s the thing about me, if I am out with Forrest and the girls aren’t with us, I still like people to know that we’re parents, (to explain how tired I always look). 1. In a large mixing bowl, stir together all ingredients. 3. Place in a tupperwear container and store in your fridge.